Le Meridien's hotel licence was cancelled by the NDMC in March this year over the non-payment of due license fees. Le Meridien's licence was cancelled by the NDMC in March this year. 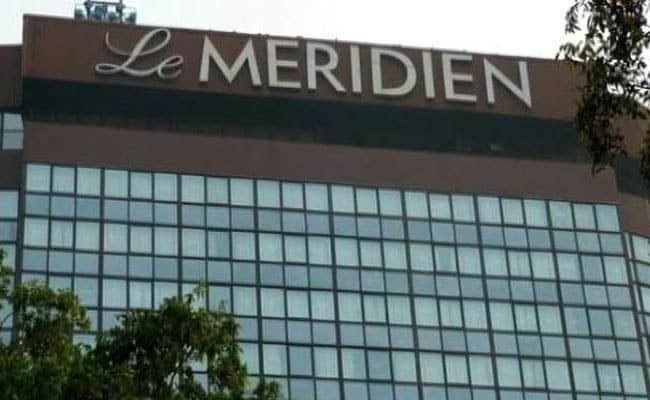 New Delhi: The New Delhi Municipal Council (NDMC) is in process of evicting the management of Le Meridien hotel, the Lok Sabha was informed today. "The NDMC has informed that as on August 31, 2017 CJ International (which runs Le Meridien hotel) has to pay approximately Rs 605 crore as dues that indicate service tax liability to the tune of Rs 94 crore," Minister of State for Home Affairs Hansraj Gangaram Ahir said in a written reply. The luxury hotel's licence was cancelled by the NDMC in March this year over the non-payment of due license fees. There has been a controversy over Le Meridian's licence fee since 2015 with allegations of irregularities against the NDMC officials in the recovery of fees from the 5-star property located in the city's Lutyens Zone. It is alleged that the NDMC allowed a settlement of dues by accepting a one-time amount of over Rs 150 crore, which allegedly resulted in a loss of Rs 400 crore to the exchequer.